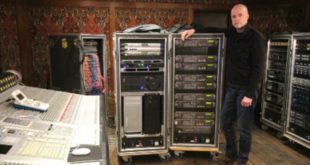 Christian Poulsen describes firm's reaction to receiving audio accolade, and tells us about some recent changes at the company. What was your reaction to receiving the 2012 API Award for Studio After Sales Service? We always aim for the highest quality in all we do. That goes from the products we make to the marketing material and definitely to the experience people have when doing business with us. Before, during or after they have bought a DPA product we do our utmost to give a good and satisfactory service. Receiving the 2012 API Award for Studio After Sales Service was wonderful news for us as it stresses the importance of the after sales service and also confirms that we are doing a good job. The award has been a wonderful recognition and we are proud to continue the dedicated after sales service. We understand that you’ve recently come under new ownership. Are the new owners involved in any other areas of the audio industry, and have any significant changes been introduced as a result of them buying the company? The new ownership only involves the pro audio industry, where we see big opportunities for DPA. The market is changing and we are accommodating to new needs and trends as we definitely feel we can make a difference with our knowledge and products. To meet these opportunities, a new and ambitious product launch strategy is being implemented. Sales have grown rapidly over the last three years and we are therefore restructuring our production to be able to meet far bigger volumes than today. Could you tell us a bit more about your new management structure? How will these changes benefit the company going forward? Since 2010, I have been co-owner of DPA Microphones together with the founders of DPA. The founders have now stepped out of the company, leaving me as the CEO. Christian Hoff has joined as CFO and together we constitute the company’s executive management. We see an enormous potential in DPA and believe in creating even more success for DPA. In March 2012, Susanne C. Seidel joined DPA as Executive VP of sales and marketing to strengthen DPA further. Her task is to bring the DPA brand to an even higher level and present it to an ever broader audience in the world of audio. Tell us a bit about your new d:facto microphone. What makes it different from all the other high quality vocal mics out there? There are already some great vocal condenser microphones on the market and taking the expected quality level and price point into consideration, we decided we would only make a new vocal microphone if we could make it the best sounding (both wired and on wireless systems) and the least pop and wind sensitive condenser microphone on the market. We knew it had to sound as good as the legendary DPA4011 capsule, but modified for handheld live use. We managed to develop a supercardioid capsule that sounds like you have brought the studio sound on to the stage. We have managed to work around the issues of feedback and mechanical noise without sacrificing the natural sound quality. You’ve reached your 20th anniversary this year. 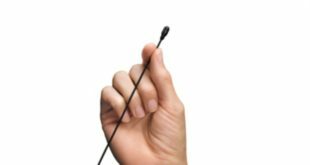 How have you managed to compete so successfully with other microphone manufacturers that have been around for much longer? DPA consists of dedicated people in all positions and over the years we have built up a dedicated and devoted partner network. 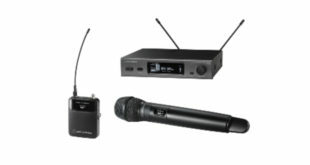 Over the last 20 years DPA has gained its reputation of a highly reliable and stable microphone brand where you always expect ingenious solutions. How would you sum up 2012 for DPA, and what are your future plans? With the d:facto Vocal Microphone DPA have moved even further on to the live stage. We have always been known in the recording and classical environment but now we see how our products being embraced by more popular genres like rock, pop, and even heavy metal. This is a fantastic market with a lot of opportunities and we see how our products definitely make a change for people who use them. The DPA addiction is growing in broadcast, live, recording, etc. and we are proud to have achieved that, but also humble as we know that even more will be expected of us in the future. We appreciate the support of clients and users worldwide and promise to do our best to develop the mics they need to do the job.